Separately, a healthcare company has announced 200 jobs in Carlow, Cork and Tipperary. 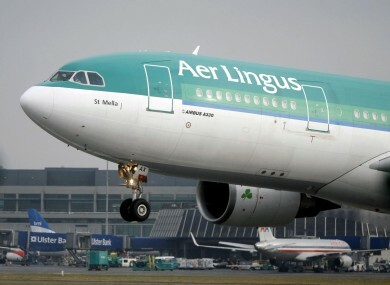 200 NEW JOBS are being created at Dublin Airport. Swissport Ireland Limited, which manages ground handling at the facility, announced the creation of the positions this morning. The jobs will be in customer service, ramp handling, flight operations and security, amongst other areas. Ground handling business (essentially the servicing of aircraft while they’re on the tarmac) grew by 23% in 2015 and is expected to grow by a further 10% this year. Some jobs are already being advertised online on the Swissport website. “We are delighted to see Swissport’s business go from strength to strength at Dublin Airport,” Dublin Airport Managing Director Vincent Harrison said. The recruitment of a further 200 jobs, on top of the 350 recently announced by Dublin Airport further endorses the economic impact of the airport. Earlier today, 200 further jobs were announced by healthcare company MSD. The jobs will come on stream at three of the firm’s Irish sites by the end of the year. MSD in Carlow, the company’s only standalone vaccine facility outside the US, is creating 110 new roles in production, engineering and quality control. Its base in Brinny, Co Cork – which specialises in the fermentation and sterile filling of biotech products – is seeking 50 new hires in manufacturing, quality, technology, engineering, and environmental and safety. MSD’s branch in Ballydine, Co Tipperary – which is involved in the research and development, formulation and manufacture of active pharmaceutical ingredients – will recruit 40 new employees, including process and chemical engineers and organic chemists by the end of 2016. Ger Carmody, associate vice president at MSD in Tipperary, said: “Our state-of-the-art facilities in Carlow, Cork and Tipperary are leading the way in the development of new medicines, including MSD’s new treatments for cancer and hepatitis C, which are being manufactured in Ireland for the world market. Oour Irish sites are involved in the production of over 60% of MSD’s global top 20 products. MSD already employs more than 2,000 people across five sites in Ireland – in Dublin, Carlow, Cork, Tipperary and Wicklow. Its Irish operations had a turnover of €3 billion in 2014. The company has operated in Ireland for over 50 years. It produces medicines in areas such as diabetes, heart disease, oncology, infectious diseases and anaesthesia. With reporting by Daragh Brophy. Email “200 new jobs in ground handling on the way at Dublin Airport”. Feedback on “200 new jobs in ground handling on the way at Dublin Airport”.